Napa Valley is one of the top wine-producing regions in the US and is a popular place for escapes to the Californian countryside. Properties in this region have grown in popularity in the last two decades, and there are many rustic retreats for rent or sale in the countryside. 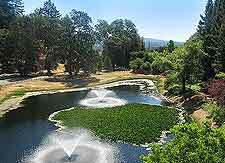 Napa Valley consists of several communities, each of which is known for its own grape varieties and prominent wineries. Napa is the biggest city in the region and has some of the most affordable, blue-collar neighborhoods. Other communities with more wine clout include Oakville, Yountville, Rutherford, Calistoga and St. Helena. Property is at a premium in Napa Valley, since the land is so valuable to wine growers. A small cottage with one bedroom typically goes for half a million dollars. Large houses cost several million, while estates and wineries go for tens of millions of dollars. The most exclusive property in Napa Valley is located within St. Helena. Serviced apartments in Napa Valley are located close to Napa Airport, where traveling executives can get the most use out of them. 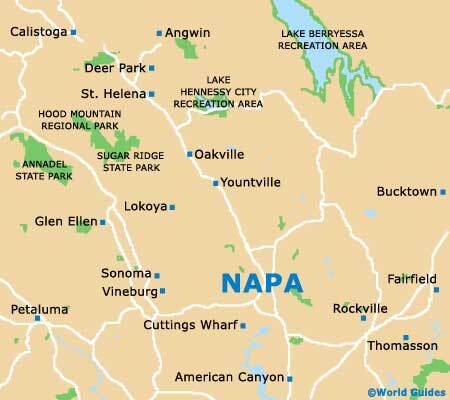 It is also possible to find furnished housing for rent in Napa's gated communities. In either case, these are tailored for busy visitors who have work to accomplish while in Napa Valley, and they are outfitted with full kitchens, possibly featuring an in-unit service. Most serviced apartments here are marketed as 'extended-stay hotels', and offer competitive week- or month-long rates compared to other hotels. While a regular apartment will always require a lease signing, these units are generally available without any commitment, though a deposit will likely be in order. The entire California housing market took a disproportionate hit during the global recession, but Napa Valley was largely spared because of the land's utility as an income generator. Prices slumped slightly, although have already started to rebound. Expect homes, estates and apartments with a view or enviable location in the countryside to secure high bids from interested buyers. In the US, the seller has a higher burden of fees than the buyer does. Closing costs in California are high by US standards (at 1.7 percent), but are still low when compared to those of other countries. There's an advantage to hiring one of the region's top realtors, as this person is likely to get advance notice on properties becoming available. To a great extent, securing the property of your dreams in Napa Valley requires beating others to the closing table, and this is where a knowledgeable and well-connected realtor can really help a prospective buyer. This real estate agency deals in residential, investment and commercial properties across Napa Valley and can also provide information about local serviced apartments. This team of brothers grow wine locally and also help aspiring wine makers secure land in the area. St. Helena maintains a portfolio of estates, vineyards and private homes in Napa Valley's premier upmarket neighborhood.